Baby teeth and adult teeth may erupt later than expected. Baby teeth may not erupt until age 2. Some baby teeth may still be present until 14 or 15-years-old. Teeth may be smaller in size and conically shaped. People with Down Syndrome are 50% more likely to having missing teeth. The tongue may be large and have fissures (“cracks”). It is important to brush the tongue well because food and bacteria can get caught in these cracks. Gum disease is one of the most common oral conditions in people with Down Syndrome. If not controlled, infections can be rapid and destructive, leading to loss of permanent teeth. Regular dental care is important for healthy gums, bones, and teeth. People with Down Syndrome have a lower risk of caries. Regular dental care is still very important in order to maintain a healthy mouth. Congenital heart defects are common in Down Syndrome. Families should consult with their physician to determine if their child may require an antibiotic prior to dental treatment (including cleanings). The American Academy of Pediatric Dentistry recommends all children should have their first dental visit by age 1. Regular cleanings every 6 months (or more frequently if recommended by your dentist) will help to maintain excellent oral health. Pediatric dentists have specialized training in treating infants and children with Down Syndrome. It may be helpful to establish a dental home with a Pediatric Dentist. Brush your child’s teeth 2 times per day. Teeth should be brushed in the morning and at bedtime. Your child should not eat or drink after brushing at night. Use fluoride toothpaste as soon as the first teeth erupt. Avoid using “Training Toothpaste” as these often do not contain fluoride, an important vitamin for healthy cavity-free mouths. Until your child can reliably spit out toothpaste, use the size of a grain of rice. Limit sweetened beverages to 4-6oz, one time per day, with meals. Encourage drinking water between meals. 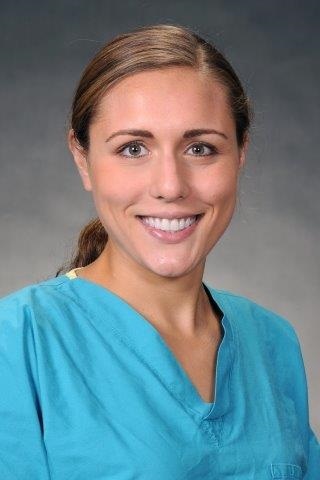 Dr. Erica Brecher is a Pediatric Dentist at Piedmont Regional Dental Clinic. She has completed a three-year residency in Pediatric Dentistry at the University of North Carolina where her studies included care of infants and children with Down Syndrome. Dr. Brecher is accepting new patients. Call (540)661-0008 for an appointment. PRDC accepts Medicaid and most commercial insurance. The Clinic uses a sliding scale fee schedule so patients fees are based on household size and income. PRDC is a nonprofit dental safety net clinic located in Orange, Virginia.